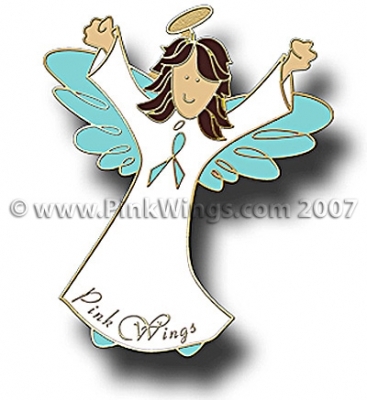 This is a Brunette Angel Awareness pin with teal ribbon for Ovarian or Cervical Cancer. This pin also comes in a Survivor pin. As with all of our pins, it is a great quality custom Cloisonne pin with butterfly clutch back.